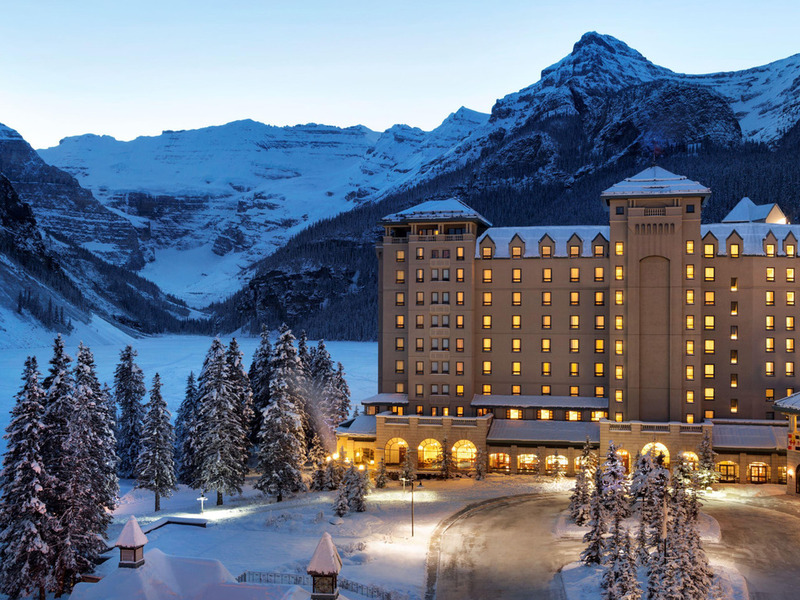 Fairmont Chateau Lake Louise is situated on the shores of Lake Louise in the heart of Banff National Park. It is a beautiful chateau-style resort offering stunning views of the Victoria Glacier. As the base camp to adventures, you can experience everything from the serene to the extreme in one of the most photographed destinations on earth. Nestled on the shore of pristine Lake Louise, surrounded by untouched natural beauty sits Chateau Lake Louise. Spare no adventure while exploring this protected playground in the heart of Banff National Park. Elegant and polished yet relaxed and inviting, Fairmont Chateau Lake Louise accommodations strive to live up to the natural wonder with which we share our name. Unwind where the luxury of a bygone era has been perfectly preserved. In a guestroom or luxury hotel suite with a heightened level of modern accommodation, heartfelt welcome and genuine service. Savor the very best in contemporary Canadian cuisine at Fairview. By sourcing high quality ingredients from coast to coast, using local organic produce and a focus from Farm to Table, our talented culinary team's deft touch allows the food to shine. Start your day off right with a hearty breakfast at our casual family restaurant. Fuel up for your mountain adventure with a delicious, gourmet buffet breakfast prepared daily or indulge in the outstanding assortment of a la carte breakfast items. Featuring an assortment of Fairmont signature teas accompanied by delectable pastries and traditional North American and European style finger sandwiches, Afternoon Tea at the Fairmont Chateau Lake Louise, is a delightful way to spend the afternoon. Innovative European alpine cuisine is featured at the intimate Walliser Stube restaurant and wine bar. Choose from a tempting variety of classic Swiss, German and Alpine dishes influenced by regional styles, or experience our authentic Swiss Fondue. Enjoy our Italian inspired à la carte menu and experience a taste of Italy in the Canadian Rockies. Features regional Italian cuisine, and an all Italian cocktails, beer and wine list. Bellissimo! Located on the lobby level of the Mt. Temple Wing. Featuring seasonally inspired lunch fare and a delicious evening dinner menu menu, the Lakeview Lounge offers guests a one-of-a-kind dining experience surrounded by architectural and natural beauty. Lovely and very helpful concierge members. The bed and pillows were an absolute dream. Otherwise, we felt quite disappointed. Our room was tiny and very basic, and there was construction/renovation happening directly across the hall from us. Work started before 9am, and we were awoken by the sound of power tools. Very disappointing for us as we were trying to have a restful and connective weekend as a couple. Parking was also quite frustrating...in my opinion, the cost should be more clearly communicated at time of booking. Furthermore, there were no available parking stalls on Saturday evening, and driving around waiting for a stall to come available is not how we wanted to spend our time. Again, I want to express my appreciation for your staff, as we had nothing but positive experiences with those we interacted with. But otherwise, we were let down by an underwhelming experience when we were expecting a 5 star experience. Your staff was very friendly and accommodating! We have stayed in Lake Louise many times but this was one of the most disappointing. We had continual issues with our reservation after just trying to add one night. Royal service kept calling to ask if I had another adult with me in the room which I did not. We received no housekeeping service our first night and had to ask to get it the second. Very good customer service, on the front desk, housekeeping Lisa, bell captain everywhere really. Areas for improvement we stayed 7 nights the bedding was changed but the room was not vacuumed, I had to ask for this to be done as the room was dusty and we booked a junior suite the wooden floor was in very bad condition it had very deep scratches. I would not have expected this standard of flooring for a Fairmount hotel. Overall we had a great holiday . Reduced from 10 to 9 due to cleaning of room and condition of floor. We had a wonderful time stay at the hotel, I can’t complement enough on the staff. For service and friendly greeting! It's a beautiful Hotel to get away from all the hussle and bustle. We were there for a marriage conference and it just added the glamour touch to a husband and wife getaway! The staff was very friendly in all areas, from front desk to waitress to the staff at the shops. A wonderful lakeview junior suite, multiple dining options and a grand building overlooking one of Canada's best glacier views. Given our very short stay, we managed to get out and walk the fantastic frozen lake, take in early morning pictures of an ever changing sunrise on Victoria Glacier and surround mountains, enjoy a simple and delicious meal in the evening and benefit from the shuttle bus to the Lake Louise Ski area. It was a trip down memory lane for one of us who worked at the Chateau for 2 summers in the mid 60's as a chambermaid and snack bar waitress. The memories made up for a slightly tired looking suite. The Chateau Lake Louise is to be congratulated for ensuring a wide range of dining experiences for every budget and taste. The staff were ever smiling and welcoming and helpful. A relaxing - all details taken care of - much needed get away! We were very satisfied with service from canapés and breakfast to concierge to turn downs. We had no complaints. Very accommodating. Made to feel special. Lovely and comfortable in every way...staff, accommodations and amenities. Very good, the people in the hotel helped us with everything. Was amazing. Couldnt have asked for anything better. My wife and I have stayed at Chateau Lake Louise a number of times and have come to both expect and appreciate the experience. I have to be honest - the Lake and hiking are a huge draw, but the hotel itself and the staff certainly push the satisfaction meter to the top! It was a marriage conference weekend . The hotel was nice. The dining was a little pricey and a glass of wine was a ridiculous price. More options for wine so you could actually enjoy a glass in the main dining area. Lost stuffed animal when changing the sheet. Got it back when I had a chance to get to purolator to find it is bleached out and wet in a bag. No apologies provided. I didn’t even want my sheets changed and it was only after my 2nd night there. Our stay was what you expect when you stay at a premium hotel. Quality well trained staff, accommodating, and with a slight error on our bill it was corrected immediately without question. Great food, and of course it’s Lake Louise. What a beautiful historic gem. Beautiful location. Outstanding dinner. Hotel could use some updating. Enjoyed our stay even though brief. Dinner was simply outstanding and exceeded expectations. Gorgeous view from our room overlooking the lake and glacier. The hotel itself, while lovely, could use some updating. Great views, great dining, small room, poor valet. Really enjoyed the lake view room. Dining and room service was top notch. Pool area left much to be desired. Room was too small and had a a coffee maker malfunction, causing a huge mess I had to clean up the morning of check-out. Valet didn't close and lock the tail-gate on my truck properly. It was closed, but not properly, as when I got home and out of the truck we noticed it had opened during the drive. Not sure if I lost anything from the truck bed. For $30 per day for Valet parking I'd expect more care and attention.